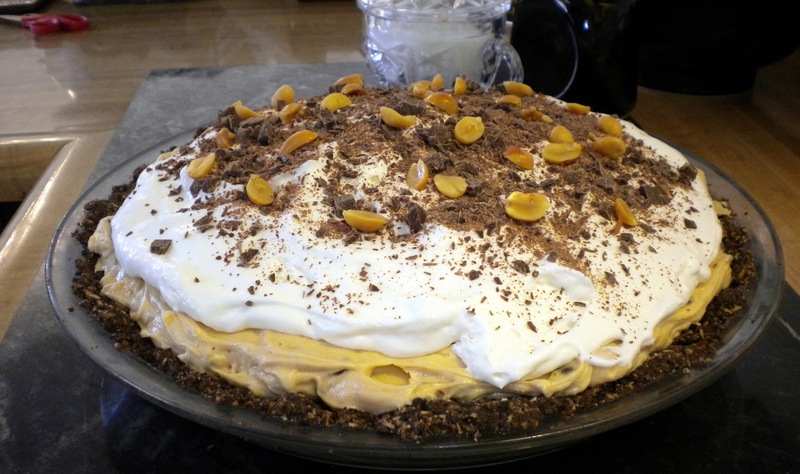 I might just kill for this Peanut Butter Pie! I acted much like Golem in Lord of the Rings, hovering over this pie protecting my precious from prying forks that wanted a taste. I had a slice for breakfast, lunch and dinner. Then when my stomach was upset from its rich, salty sweetness I had another slice! Enjoy but beware the power it may have over you! Beat cream until stiff peaks form, refrigerate until needed. In a medium mixing bowl whip together all ingredients except cream until even. Add in 1/3 cream and mix well, gently fold in the remaining cream. Pour filling into crust, spread evening with a rubber spatula and chill for 2-4 hours or until pie has set. Before serving spread whipped topping over over pie and sprinkle with chocolate shavings and peanuts.